Streeterville is mostly known for its sprawling high-rise condo buildings and among its high concentration of such properties, luxury condominium residences are quite common around this part of downtown Chicago. Many of Streeterville's condos for sale boast some of the best city views you'll find anywhere in town, while some even offer great views of beautiful Lake Michigan. The other advantage to owning a Streeterville condo is that you'll be just blocks from many of Chicago's top attractions like the Magnificent Mile, Navy Pier, Oak Street Beach, and the Museum of Contemporary Art Chicago. While the list of upscale condo buildings in Streeterville is rather long, some of our favorites include the Ritz Carlton Residences, 840 N. Lake Shore Drive, 600 N. Lake Shore Drive, and The Palmolive. To search other buildings in the neighborhood, take a look at our comprehensive Streeterville condo building directory. 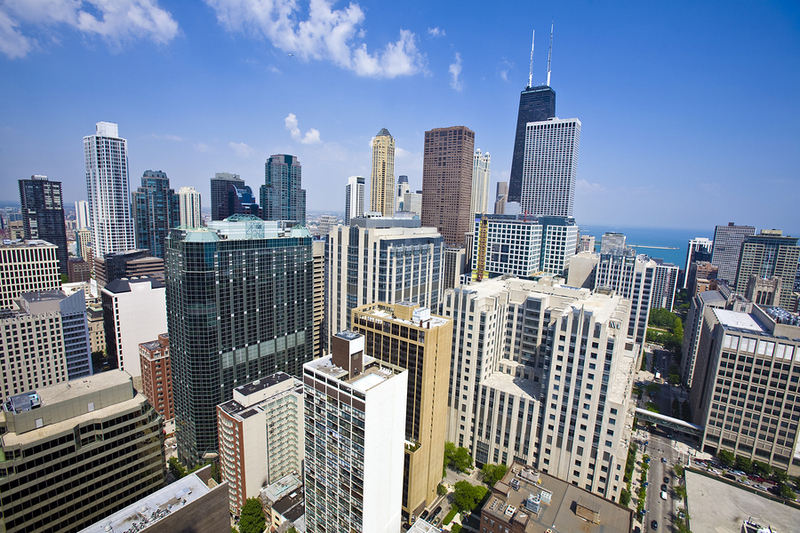 View all Streeterville condos and homes for sale below or continue reading for more information on this wonderful neighborhood. You can also register for complete access to our MLS® listings, including photos, maps, and more. This historic area takes its name from George Wellington “Cap” Streeter. During a storm in 1886, this adventurer ran his vessel aground on a sandbar in Lake Michigan near Superior Street. When landfill was dumped here to create buildable land, Streeter attempted to claim it as his own. He was a brash and colorful character who was loved by the press. Streeterville is bounded by Lake Shore Drive on the north, the Chicago River on the south, Lake Michigan on the east, and Michigan Avenue on the west. It merges with another historic and exciting area — the Gold Coast. Surrounding Streeterville are many important buildings, including the John Hancock building, Water Tower Place, Northwestern University’s School of Law, Northwestern Memorial Hospital and the new Children’s Memorial Hospital. A mecca for shoppers, Streeterville includes the 900 North Michigan Avenue shops and the entire Magnificent Mile, with its flagship stores. Streeterville Is Home To More Than Just High-Rise Condos For Sale! Residents here truly have it all: the Museum of Contemporary Art, world-class hotels, Oak Street Beach, and easy access to Lake Michigan and Navy Pier. Visitors flock to the area’s local hotels and fine dining establishments, as well as the Broadway Playhouse at Water Tower Place, cinemas and numerous art galleries. Parks and play lots abound for children. The frosting on the cake are the million dollar views that go along with many Streeterville properties. Contact Helaine Cohen to arrange a tour of available homes in Streeterville or surrounding areas.